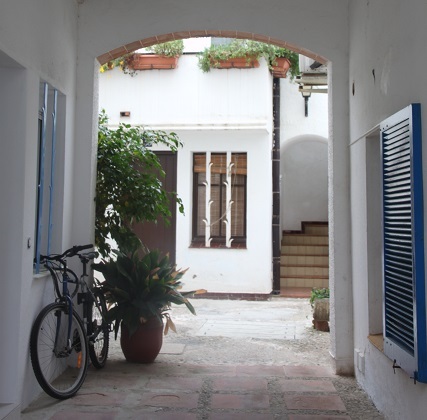 Although we didn’t totally love our Sitges hotel we did love its location – overlooking the Aiguadolc Marina and a ten minute stroll into the old town along a boardwalk by the sea. 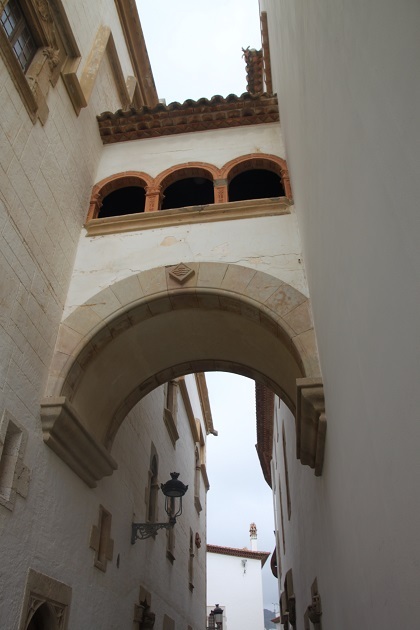 A gorgeous walk – the fact Son didn’t moan once shows what a hit it was to wander and take in the sights and sounds of Sitges. It is such an attractive little resort, fairly lively with lots of families during the daytime – apparently it is much livelier with a very different sort of vibe at night but we were tucked up early and didn’t experience this. I read somewhere that it is a bit like Barcelona’s Brighton. A former fishing village, it definitely retains its small town charm. Apparently in the early 1900’s it was a Bohemian hotbed for artists, painters and writers, became a discreet refuge for artists and free thinkers under the Franco regime and then in the 1960’s and 70’s turned into a party town. To us it felt quite stylish and a bit arty. The old town is gorgeous – lots of historic buildings and lovely architecture with a bit of Renaissance, Art Nouveau and plenty of Art Deco. 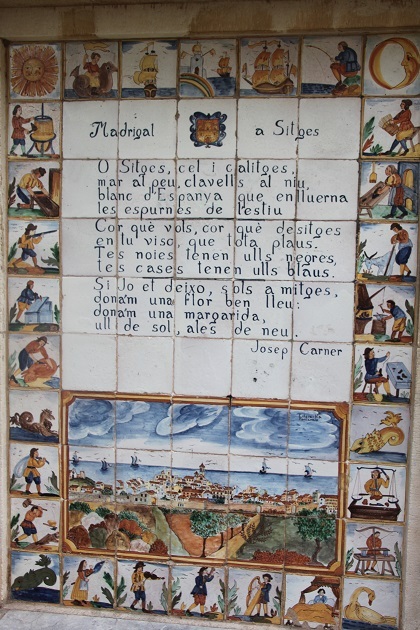 The young men of Sitges went to the New World (especially Cuba) to seek their fortunes and returned home to build ornate houses to show off the money they had made. Thankfully in Sitges there are none of the horrible, high rise hotels that feature further along the coast here. The atmosphere felt very cultured, we loved the baroque church and all the grand old houses that have been converted into galleries and museums. 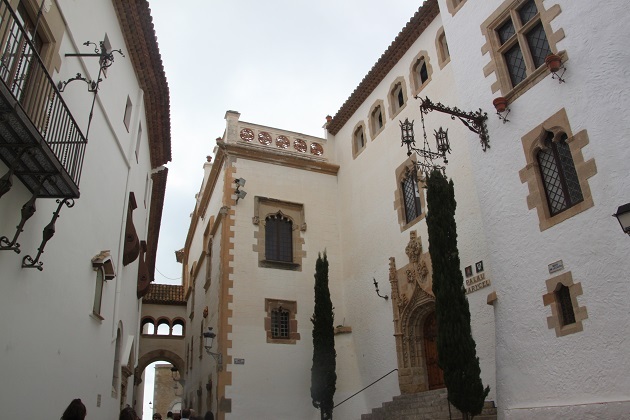 It is a perfect place for strolling and wandering – old streets with wonderful buildings to savour. The seafront promenade is lined with palm trees. We didn’t venture onto the beach but the one closest to the old town looked very nice – sheltered with lots of families enjoying the sands but at all packed. There were walkways to the waterfront and lots of beach huts/small bar restaurant places selling food, drinks and pedalo hire. We did see another beach beyond this one, let’s just say the sights there were a bit more risque, Son was quite intrigued but we didn’t linger. 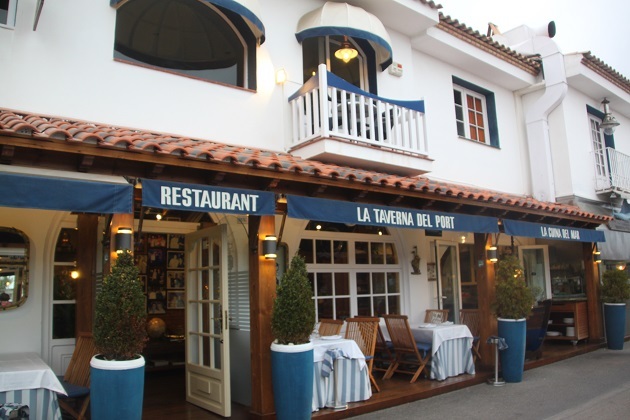 Behind the beaches is a lovely promenade with rows of restaurants, bars and ice-cream parlours. We took up position at one of these places, Son had his ice-cream and we sipped on mojitos as we looked out over the sea. A perfect place to sit and watch the world go by – the whole promenade was buzzing as people meandered, cycled or rollerbladed along taking in the sea air. The restaurants didn’t really seem like tourist traps but we definitely paid a premium for the sea view. Back to the hotel and after a rest and freshen up we walked the short distance back down to the marina. A wealth of restaurants to choose from here, we arrived at 8pm and they were all empty. 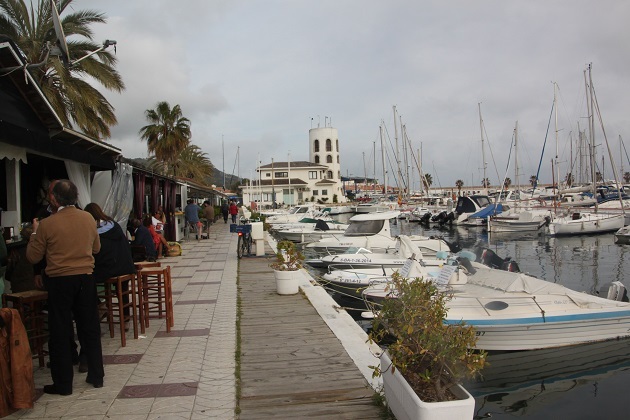 We picked one with a great view of the boats and had a delicious meal – fish and fresh vegetables washed down with a bottle of Cava. A lovely end to a great holiday. It looks so attractive Joy, especially around the marina. Dinner and cocktails – a perfect end to a lovely holiday! Although the old town was gorgeous and very interesting the marina was my favourite place. 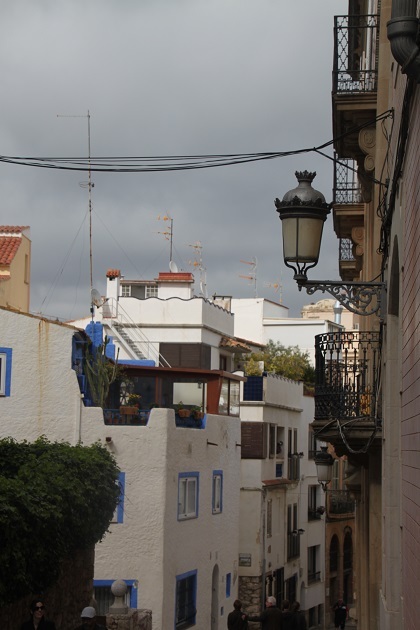 Loads of old fishermen’s houses and winding streets surrounding the water made it so atmospheric. And I agree completely – good food and cocktails are the perfect ending. Your review definitely intrigues and makes me want to visit. A town with a colourful history of artists and free thinkers always retains some of that magic. This place definitely had that sort of vibe – a bit quirky and different, I loved the atmosphere. You have been to so many beautiful places, it is amazing, Joy! Isn’t it gorgeous Erika – we only stayed here because it was close to the airport and we had a really early flight but what a gem! Those are the wonderful discoveries which mean almost more than the planned things! 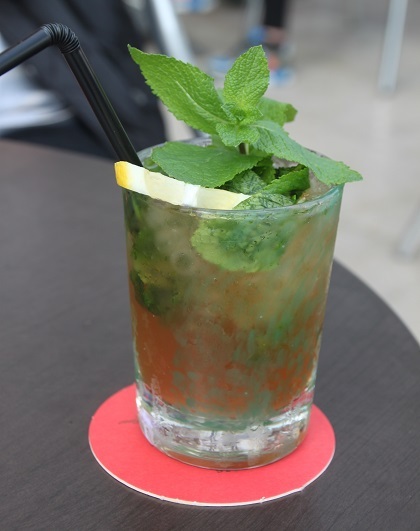 It was so lovely – and those mojitos were superb!! Beautiful pictures, as always, Joy! What a lovely city. It is a gorgeous little place Susan, the last day of our time in Spain and we loved it. This is a part of Spain that I have never been to. I might have to now! It’s a lovely little beach town – you could combine with a Barcelona expedition! I have always preferred north of Barcelona and the Costa Brava rather than south and the Costa Blanca! I need to reconsider. Never been north but it definitely appeals. 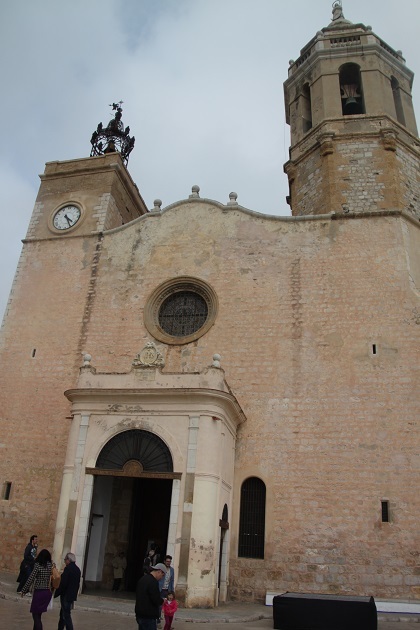 We did venture south years ago when our son was a baby – apart from Tarragona I really did not like the area – unusual as we always find something appealing but I just was not keen on this coast. 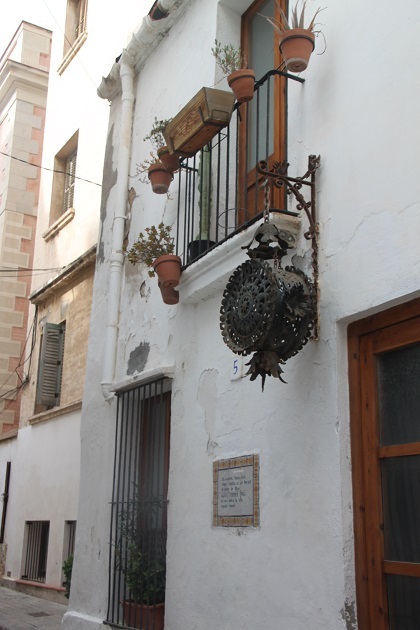 Sitges was different though but we did only stay 1 night! 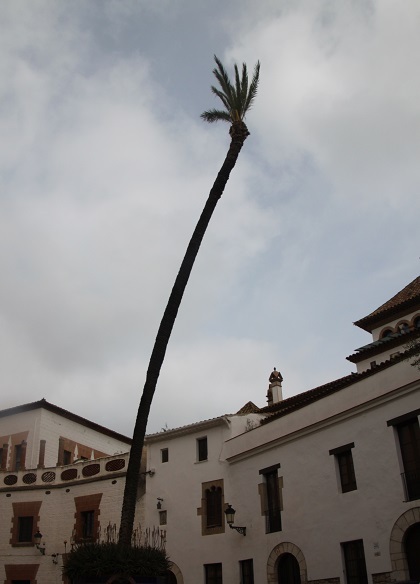 Last month we spent a day on the Costa Del Sol – Terrible! But at least there you can escape into the mountains and all things civilized again!! Exactly – my stories coming up soon! This was a really great find Suzanne – supposed to just be convenient for an early morning flight but it was gorgeous. 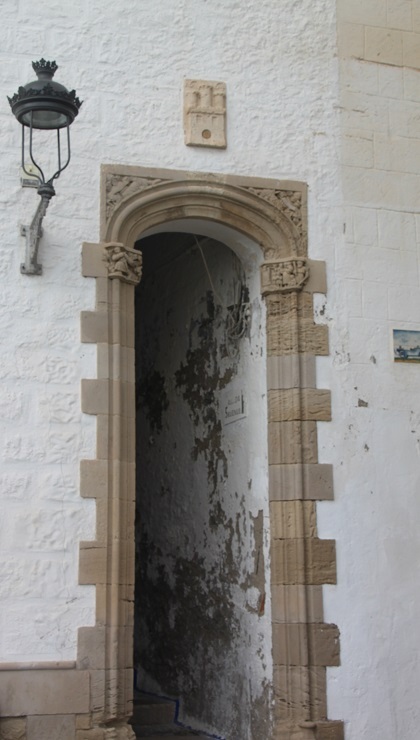 Looks like a beautiful place with some beautiful doorways and windows. Looks like a lot of fun to explore. 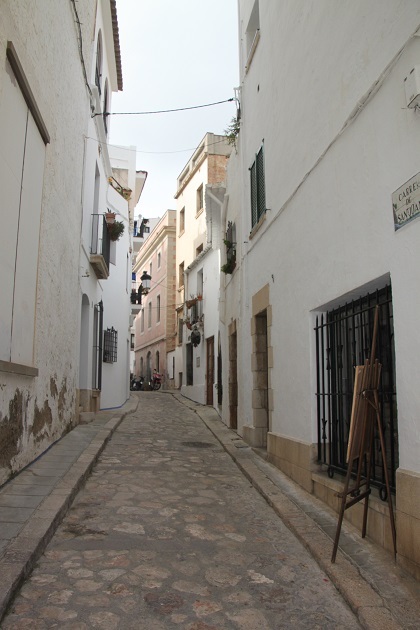 Loads of little winding streets and whitewashed houses – perfect for strolling and losing yourself! 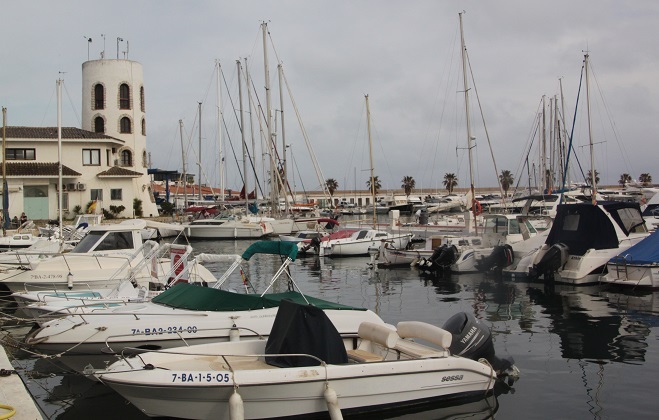 It is gorgeous – a lovely old town to wander around and then that lovely marina with all the boats – we loved it. 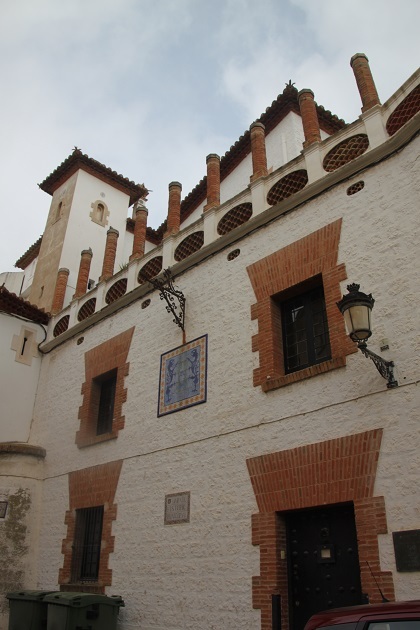 It is a lovely little place Susan – we have been to other coastal places here and not been overly impressed but it’s interesting and fun to wander in Sitges. Those beaches….. let’s just say the sights were more than a bit risque!! Joy, what a charming village…just my kind of place! The beach really looked nice! Perfect for just wandering and strolling Pam, we loved the narrow streets and all those lovely whitewashed houses – just gorgeous. There is something magical about narrow streets and doorways! Looks like my kind of place! 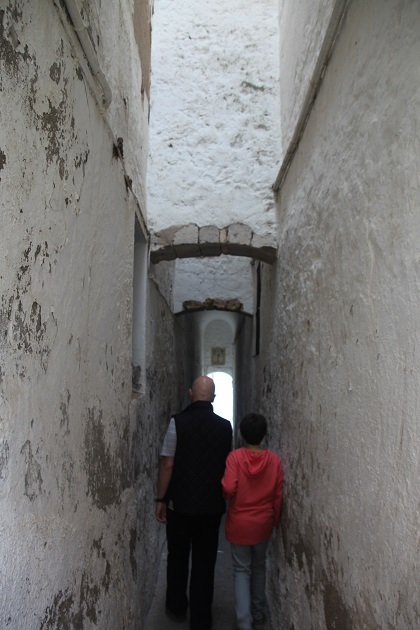 It’s just gorgeous – we can’t resist a narrow street and alley, they just beg to be explored!! Is it just me or does this place have a very different vibe? I just got that feeling from the photos. It really does George – quirky, arty and very bohemian. I wasn’t really expecting that so it was a lovely surprise. I think the whole vibe and atmosphere changes dramatically later in the evenings Rosemary but we didn’t experience any of that – tucked up early in bed!! It is lovely, a great vibe it felt quite bohemian and quirky and the streets are perfect for strolling and going where the fancy takes you. It was the perfect place for our last night in Spain. The week is flying past (as usual), one more week of school and then it’s half-term holidays, don’t know where this year is going!! I love quirky places with character Joy – it looks charming though I would probably give the nightlife a miss too!! Yes can’t believe we’re nearly half way through the year already! We have 4 terms here but no half terms. The next holidays are at the end of June ( for schools). Off to bed as full day of babysitting tomorrow and need to leave home by 6.30am to get down to my daughter’s so she can get to work in time! You’ll be ready for bed early tomorrow night then Rosemary – have fun!! Thanks Joy I will be ready for an early night but it’s a friend’s milestone birthday tomorrow night and we’ve organised a dinner for her so I hope I can stay awake for it!! 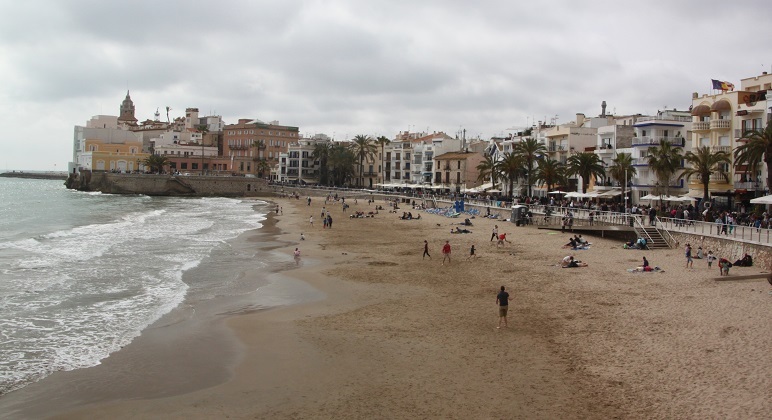 As a young study abroad student in Barcelona in 1999, we used to love to jump on the train and go to Sitges to go to the beach. I remember it as quaint but I never fully explored the old town. Seeing your pictures I regret that. 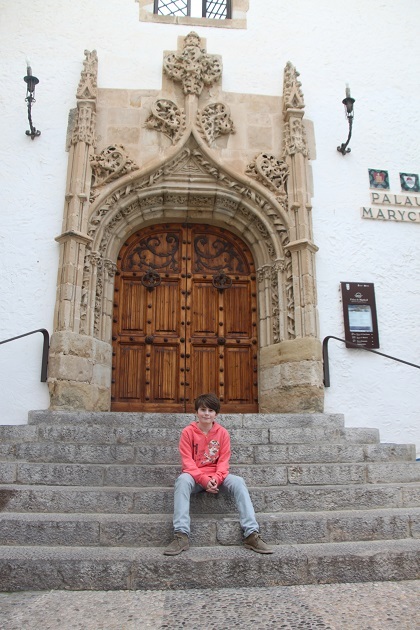 Wish I could head back to Spain, I’d love to show all my old haunts to the husband and kids. Thanks for the memories! The beaches looked great so I fully understand as a student how you would have been tempted by them!! The old town is gorgeous though, maybe someday you’ll revisit! !